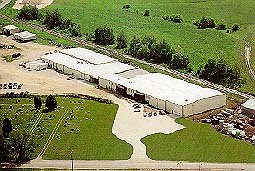 Established in 1962, LaGrange Products started by manufacturing galvanized water storage tanks for the Recreational Vehicle industry. In 1978 we received our ASME code certification with the goal of providing quality pressure vessels to our customers at fair, competitive prices. We offer a full range of services, and have developed a reputation for our commitment to customer satisfaction along with a finely-honed attention to detail. We recieved our ISO 9001 certification in 1996. We are constantly improving our engineering and advanced manufacturing processes and equipment, and continually stay on top of the ever-changing world of processes, codes and standards. Between our employees’ depth of experience and demonstrated passion and the continually improving processes we are able to keep our quality and overall customer satisfaction up. That sense of conscientiousness is the reason our customers have valued LaGrange Products as a trusted business partner for over 50 years. Quality products, competitive pricing, attention to detail, and valued long-term relationships – these commitments and trusts are what set LaGrange Products apart.